It's hard for me to believe, but it was a few months ago that I asked for volunteers from the studio audience to share some of their favorite childhood book covers. Now it's finally time for me to share them all with you-- starting with mine. I hope you like my graphic above. It reminds me of growing up in a library surrounded by books. Yes, I did have bangs and glasses and a little gingham dress a lot like that, and I loved to sit at the table in the very back of our village library so I could go through the stacks of books I'd selected to read. It's only when I began my semi-regular series of posts comparing the US and UK book covers of crime fiction titles that it occurred to me that I could visualize several of the covers of my favorite childhood books as if it were yesterday. As I start showing them to you, I think you're going to see a pattern rapidly form. Not only that, but you're probably going to have a good idea of what sort of little girl I was. Let's get started! I remember the very first three books I read all by myself: Arty the Smarty (about a know-it-all young whale), Hurry Up, Slowpoke! 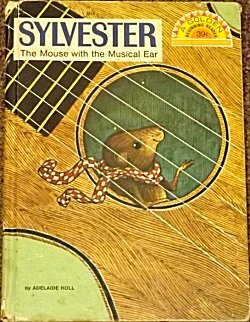 (about a little mouse who finally learned not to dawdle), and-- my favorite-- Sylvester the Mouse with the Musical Ear. Sylvester lived in a Stradivarius violin, so he was a very special little creature. I think one of the reasons why I preferred the book about Sylvester was that naturally the story was more interesting, but the artwork and cover were superior to the "mod" slightly abstract covers and artwork for the other two books. At least to my very young eyes. Even then I preferred a very large dose of realism to my art. Of course after that remark about realism, you're going to laugh at my next book cover, aren't you? 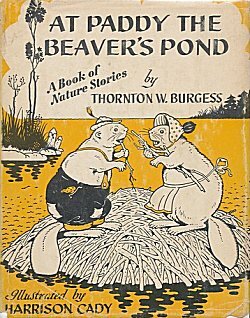 Straight after Arty and Slowpoke and Sylvester, I fell head over heels for Thornton W. Burgess's animal stories-- and their illustrator, Harrison Cady. You're right. You're right. There's absolutely nothing realistic about a pair of beavers dressed in human clothing, but you see, I knew that at the time, and those illustrations made me smile. I learned a ton of stuff about wild creatures and their habits and habitats from Burgess and Cady. And those pictures of Paddy in his patched britches and Mrs. Paddy in her apron and bonnet helped me think of wild creatures-- not as humans-- but as other living beings with needs and families and emotions, and ultimately as deserving of my respect and care. I'm pretty sure that that's what Thornton W. Burgess wanted all along. Dull as ditch water just about sums up this book cover, doesn't it? Be that as it may, that series of books was one of my absolute favorites as a small child. The huge series was called "Childhood of Famous Americans," and I devoured each one from cover to cover. One of the things I like about the series so much was that it didn't just cover famous Caucasian males. It also covered women as well as people of other races. 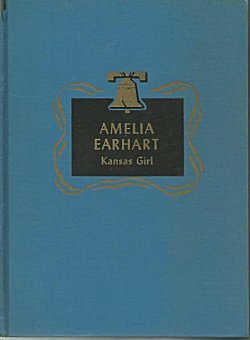 The blue in the graphic is faded, which should be expected from a book that's sixty years old, give or take a year or so. But that bright blue cover stood out on the library shelves, and it taught me an important lesson: not to judge a book solely by its cover. You see, I had to look at each title carefully to see if I'd read it already! At roughly the same time that I fell for Thornton Burgess and the lives of those famous Americans, I also fell hard for Laura Ingalls Wilder's Little House books and their illustrations and covers by Garth Williams. 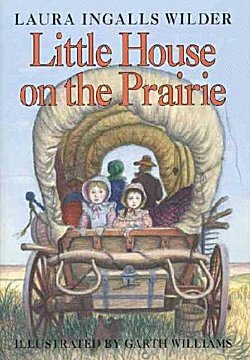 The cover of Little House on the Prairie is one of my all-time favorites. Looking at those two little girls sitting in the back of the Conestoga wagon, there's such a feeling of adventure... and a bit of apprehension. I loved Garth Williams' art, and for those of you who love books like Stuart Little or Charlotte's Web, you probably have a soft spot in your heart for him, too. I can remember when boxes of new books would arrive at the library, and Mom would tell me that there was a new Little House. I always wanted to grab it to take a look at the cover to see where the Ingalls were going to go next! And from Garth Williams, I move right along to the third of my favorite childhood book illustrators, Wesley Dennis. I rapidly became horse crazy when I was a little girl. I loved Walter Farley's Black Stallion books, but the artwork left a bit to be desired. Not so with Marguerite Henry's books! Their illustrations by Wesley Dennis put me right in the middle of the story. Wow. 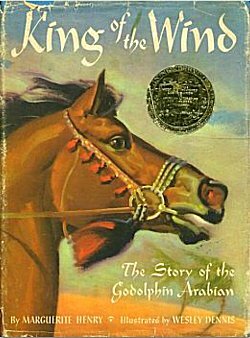 The cover of King of the Wind is in a dead heat with Little House on the Prairie as my all-time favorite book cover. I'd better start wrapping this post up before you fall asleep! 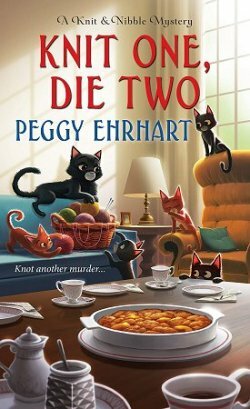 You might have thought this crime fiction lover wasn't going to have any favorite childhood mystery covers. 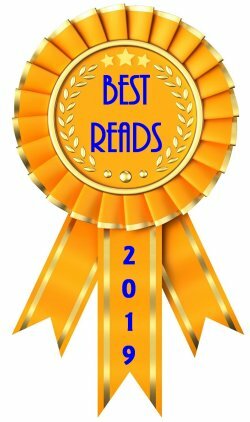 Did I read something besides biographies, historical "semi-fiction", and animal stories? Sure! But I do have to admit that some of those covers certainly stuck in my mind-- especially The Hidden Staircase. 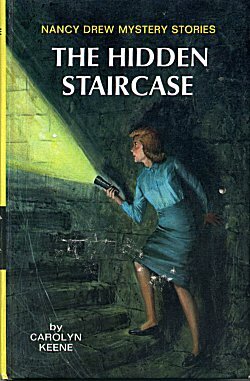 I mean, Nancy really shouldn't do her snooping in a skirt, but that staircase could be in a castle! And the battery might die in that flashlight, and then what's going to happen?!? Last but not least, my favorite Hardy Boys cover because-- after all-- Frank and Joe didn't have to investigate in skirts. 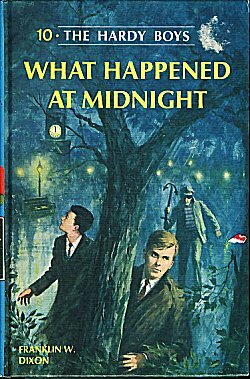 This cover of What Happened at Midnight gave me the creeps when I first saw it as a child, and it still could if I let it. A dark, wet night. An old clock tower. Street lights back in the distance. And a very scary-looking man sneaking up behind Frank and Joe. Yikes! I couldn't wait to read that one when it arrived at the library! There you have it, a trip down Memory Lane through my favorite childhood book covers. And if you're curious about my references to the village library, I can point you in the direction of a post I did a few years back: Library Memories. 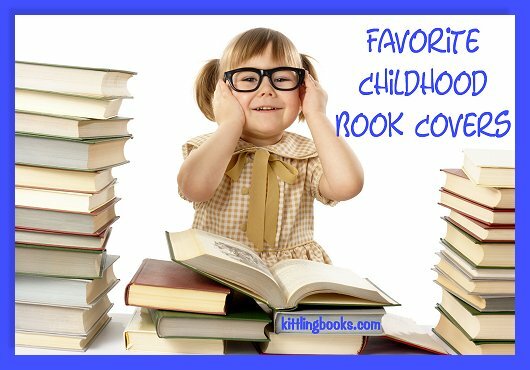 Hopefully you've been reminded of some of your favorite books when you were a child. Next week, I'll be sharing some of the favorites of three of my blog readers. Feel free to send along yours so I can share them as well. 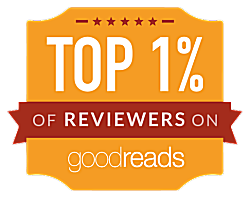 All it takes is an email to kittlingbooks(at)gmail(dot)com! Were any of your favorite childhood book covers included in my list? Which ones? And do you think you could tell very much about me as a child from my favorite books/authors/artists? Inquiring minds would love to know! Oh, Cathy, I've always been a fan of the Garth Williams illustrations for the Little House... series! So glad you included that. And I remember very well those Nancy Drew covers, too. Interesting how those things stay with you over time and bring it all right back again.. The brain certainly is amazing, isn't it? Oh, goodness. Those last three books certainly bring back memories. Big fan of Wesley Dennis's illustrations. Quite enjoyed the Nancy Drew and Hardy Boys mysteries, and their covers usually tended to grab your attention. 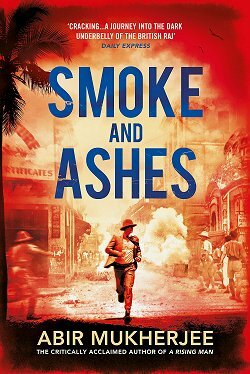 It's funny, I seem to remember books more for the characters than the cover illustrations, though. I don't know right off if I have any favorite covers. At least, nothing stuck with me. I would recognize them if I saw them (probably). I didn't know that my brain had tucked away those childhood book covers either-- until I started doing those US/UK comparison posts. I tend to remember characters, too, but I just now realized that all the book covers here feature the main characters! Oh, gosh, rattling these old gray cells is getting harder and harder. I liked the Hardy Boys, but Nancy Drew even more. I was into the biographies for young girls and the Beverly Cleary series with Ramona, Rigsby and so on. I remember the characters were on the covers. My sister liked the Laura Ingalls Wilder books and we both loved Marguerite Henry's beautiful books about Misty of Chincoteague and other horse books. Illustrations in her books I still remember as being fantastic. I remember that as a young child who devoured books, I loved The Pokey Little Puppy and still remember the cover and also books that had animals who wore clothes and talked to each other. Yes-- The Pokey Little Puppy-- I loved that book! This is lovely!! I was a big fan of those 'Childhood of Famous Americans' books. I can remember reading Virginia Dare, Clara Barton, this one, and even ones about boys! I do remember this type of understated cover, but I think there were others as well. And Nancy Drew, well, of course. I loved The Hidden Staircase. You know, I went looking for the Little House books as e-books and they haven't been created in that venue yet. Interesting. I think I must have checked all those out at the library because I do not have copies. And I gave my daughter her set that we read together. Look forward to more of these Cathy! You're right about the Childhood of Famous Americans books, Kay. They have all sorts of different covers. I just chose the one that I grew up with. I remember reading about Clara Barton and Florence Nightingale. I"m sure today there is a lot more diversity for children to read. There should be, since so many people's stories have come to light. When I was young child, I had a book that showed a big squirrel family having dinner at a big table under an enormous tree. They had a huge space and the parent squirrels were serving dinner. All of the squirrels were wearing clothes, and the drawings showed a big happy family. Do you know this book? I've wanted to find it since then. Oh, well, I'll find it maybe. I also was reminded of Caps for Sale, which I loved and Make Way for Ducklings. Caps for Sale reminds me of my favorite Dr. Seuss book, The 500 Hats of Bartholomew Cubbins.